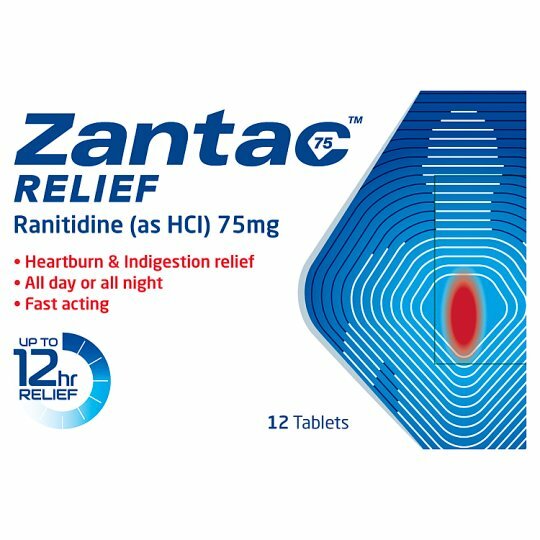 One Zantac 75 Relief tablet quickly gets to work and goes on working for up to 12 hours. Please read the enclosed leaflet carefully before taking this medicine. Swallow one Zantac 75 Relief tablet whole, with a drink of water, as soon as you have symptoms. If symptoms persist for more than 1 hour another tablet can be taken. Tablets should not be removed from blisters until immediately prior to use. For a professional advice on medicines consult your pharmacist. Warning. Do not exceed the stated dose Consult If after 6 days you still have symptoms, do not continue treatment or buy a second pack without the advice of a pharmacist or doctor. KEEP OUT OF THE SIGHT AND REACH OF CHILDREN.